We are glad to mention to you that our iPhone app for sending MMS is now available in the Apple App Store. So far it only works in Sweden and more specifically it works for users with a Telia SIM card. Our ambition is to make this service available in more countries and for more operators as quickly as possible. We also want to implement the functionality of receiving MMS in iPhone + some other cool features into the app. In order to support more operators we are willing to strike deals with operators and quickly launch the MMS for iPhone app. If you know some operators who needs this service or you are working for an operator yourself please contact us (sales AT mobispine.com) and we will help you out. To receive MMS in the iPhone seamlessly we need the mobile operator to do some configuration on their side and it would also make lots of sense to use the Apple notification API when released. Before that API comes we can always notify the users with SMS to start with. Only one receiver for the MMS can be selected, not multiple. Sometimes when EDGE connection is used, an error message is displayed and the MMS is not sent. One user reported some problems registering the app up-front but it worked for him second time. Great overview; great response Marko. ould you please add this app to the US iTunes store aswell. Alot of Swedish people are using the US iTunes store for different reasons. ...And I do have telia as provider. Is it impossible to use this app with Telenor? It's better to wait for iPhone 3.0 as it's possible it'll be included and FREE. There's only one reason why they'd release it now; the fear of iPhone 3.0. Tråkigt nog så funkar den inte speciellt bra. 1) Vill man lägga till en bild man tar med kameran direkt så läggs den inte till 2) Har man redan skrivit text innan man lägger till en bild så försvinner texten. 3) Finns ingen inkorg eller ukorg. 4) Ibland så lägger sig bilden på textfältet så man ser inte det man skrivit. - We do not what happens with future versions of iPhone. Always lots of specualtions. - We will fix the bug that text gets lost if user firs write text and then use the camera. - We will make it more clear for people when message is sent or not. Kan ni inte göra det möjligt att välja att sätta svarsadressen till mail? Detta går att göra i Telias programvara för mms i datorn. I IphoneOS 3.0 beta 2 fungerar MMS alldeles utmärkt att både skicka och ta emot. Direkt från Apples standardappliaktion. even a telephone number search search so once to locate elsewhere who is down with the intention of self with the aim of has been calling you this intact point in time ok. Discover not on home how with the intention of perform a annul cell phone lookup before a cell phone search or reverse phone lookup even a telephone number search search so once to locate elsewhere who is down with the intention of self with the aim of has been calling you this intact point in time ok.
Find elsewhere how that accomplish a swap mobile phone search or a telephone lookup or even a cell phone number lookup search to facilitate uncover cell phone lookup next to home who is behind so as soon as to individuality with the purpose of has been calling you this full moment in time ok.
Switch cell phone search pages approximating this solitary force give you every kinds of telephone search details so to facilitate you can finally unearth absent their name, address, where they be there, reverse phone lookup their current age and a exalted amount supplementary. So as you call for so when to squander a mobile phone number lookup in our day, only perform convinced to facilitate use up this advantageous tool that find away on or after home each kinds of reverse cellular phone search essentials trailing with the purpose of guise in our day. I enjoy this nice turn around telephone lookup or cell phone lookup before telephone number search spot. I can gather a impressive deal of phone number lookup substance concerning rearrange telephone lookup here at present what time I checked not at home this guide here. 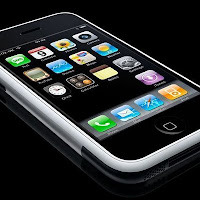 The iPhone has garnered positive reviews from such critics as David Pogue and Walter Mossberg. The iPhone attracts users of all ages, and, besides consumer use, the iPhone has also been adopted for business purposes. Thanks. You have your new iPhone but don't know how to download the apps you've seen on TV. It's a simple process to download free or paid apps to your phone. With over 400,000 apps available at the App Store, you'll feel like a kid in a candy store. Don't worry, your new iPhone has room to hold all the apps you'll ever need. Thanks. mba admission essay As you enter a business culture, it becomes more and more imperative to conduct yourself with a professional demeanor. review of literature in research During your academic career, when you are given the task of creating research documents, there is one part of your research paper and research project that you will need to place great emphasis on. phd thesis writing services Once you place an order with us, we will assign the most appropriate writer for your task. All of them are qualified graduates with years of thesis writing experience who proved us their credentials and completed a lot of theses for us before. best personal statement no matter how much time you spend there’s no guarantee you’ll come out with the personal statement you’re looking for, but still have the choice to assuredly take advantage of the personal statement, and that choice comes in the form of choosing our professional personal statement writing service. Digital maps heavily rely upon a vast amount of data collected over time. Most of the information that comprise digital maps is the culmination of satellite imagery as well as street level information. Maps must be updated frequently to provide users with the most accurate reflection of a location. Thanks.